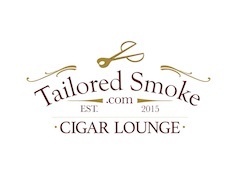 Just before the 2018 IPCPR Trade Show, Alec Bradley Cigars announced it was releasing a “mystery cigar” at the trade show. 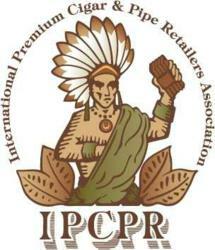 It used to be common for many companies to wait for the trade show to unveil their offerings, but with the rise of more media channels, many companies now choose to make announcements prior to IPCPR to generate interest before retailers visit a manufacturer’s booth to place orders. For the 2018 IPCPR Trade Show, much of the focus had been on the Alec & Bradley Blind Faith, a project spearheaded by company owner Alan Rubin’s son Alec and Bradley Rubin. When the show finally opened, the mystery cigar turned out to be a dark Honduran wrapper offering known as Magic Toast. While Blind Faith got a lot of attention, Magic Toast should not be overlooked. 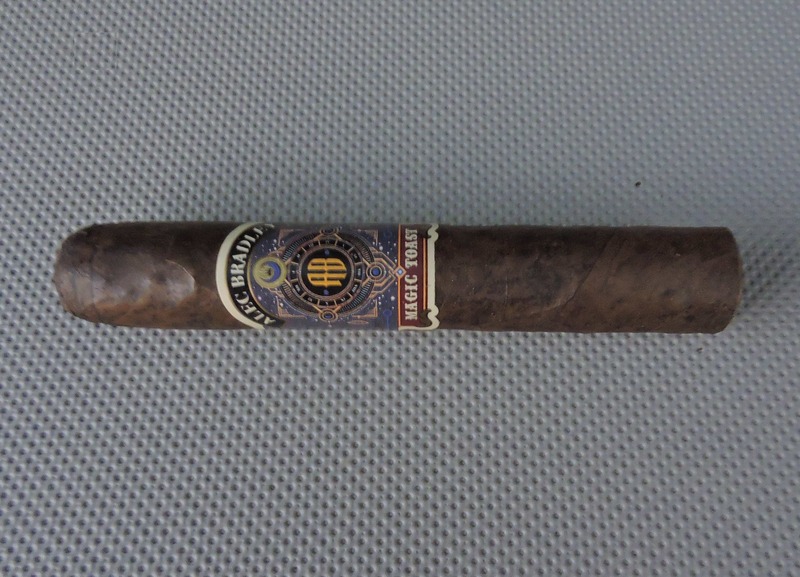 Today, we take a closer look at the Alec Bradley Magic Toast in the Robusto size. While promoted as a “mystery cigar,” Magic Toast had been released as a Stealth blend in 2016. 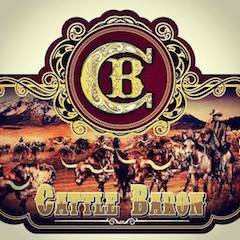 A stealth product is a cigar that has had virtually no marketing and for the most part has been sight unseen before arriving at a retail cigar establishment. While this is not an entirely new concept to the cigar industry, stealth products began showing up in 2016 right around the time U.S. Food and Drug Administration regulations would go into effect. Under those regulations, any blend introduced before August 8th would require pre-market approval. Magic Toast is one of the stealth blends shipped just before the deadline. 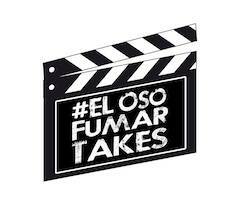 As for the name, the story traces back to when Alan Rubin and his partner Ralph Montero were down in Honduras at a tobacco field in the middle of the night. As they were looking at the area with a flashlight, Rubin noted how the experience was almost “magical.” Montero suggested they grab a bottle of whisky and propose a toast, thus the name Magic Toast. 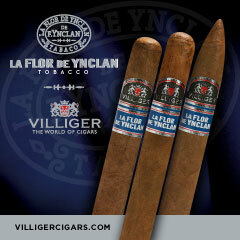 It also turns out that some of the tobaccos from that field would be incorporated into the Magic Toast cigar line. 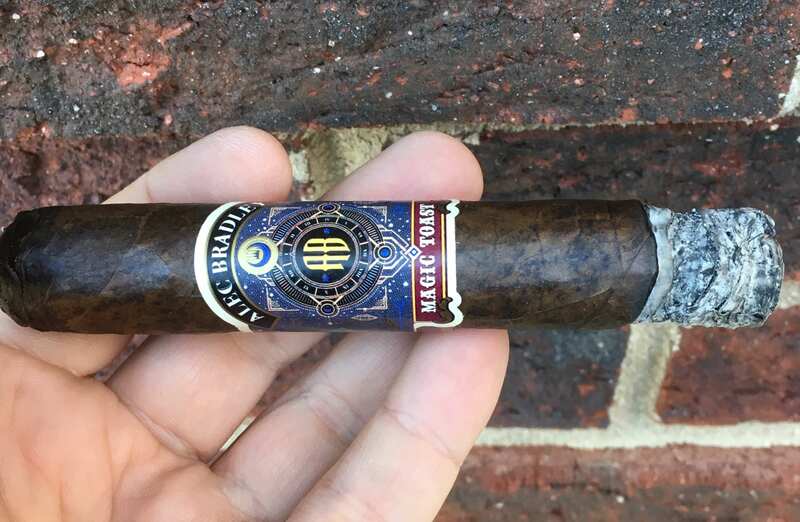 Without further ado, let’s take a closer look at the Alec Bradley Magic Toast Robusto and see what this cigar brings to the table. The Alec Bradley Magic Toast is highlighted by the dark Honduran wrapper. 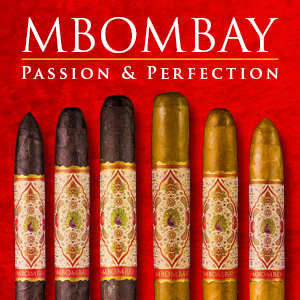 As with many Alec Bradley cigars, the Magic Toast utilizes two binders – one from Honduras and one from Nicaragua. The fillers used are also from Honduras and Nicaragua. Production is handled at the Raices Cubanas factory in Honduras. Factory: Fabrica de Tabacos Raices Cubanas S. de R.L. 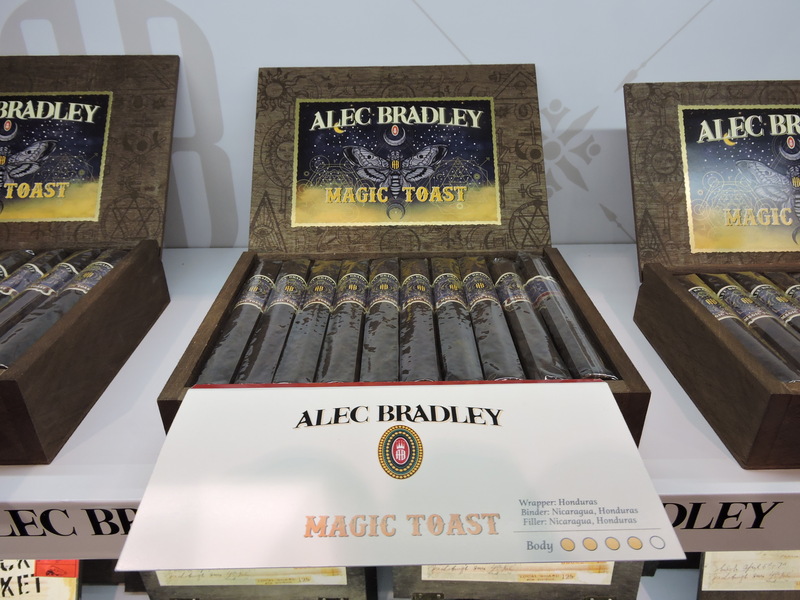 The Alec Bradley Magic Toast is offered in three sizes – each presented in 20-count boxes. The Honduran wrapper of the Alex Bradley Magic Toast Robusto had a dark roasted espresso color to it. While it was a dark wrapper, there still was some mottling on the surface visible. The smooth wrapper also had a light coating of oil on it. Any visible veins were on the thin side. There also were minimally noticeable wrapper seams. Alec Bradley’s bands are always aesthetic and unique, and the Magic Toast is no exception. The strip recognizes the story of the night when Alan Rubin and Ralph Montero were in the tobacco field with a celestial theme. The band has an indigo background. On the center of the band is a yellow astro-clock with a yellow “AB” in the middle. There are celestial designs to the left and the right of the clock. At the top center of the band is a black ribbon design with gold trim. On that ribbon is the text “ALEC BRADLEY” in white font. The lower part of the band has a thick burgundy stripe with some stars on it. On the center is the text “MAGIC TOAST” on an area of the stripe surrounded by white trim. The far right of the band has a small red and white Alec Bradley badge that serves as a band fastener. The cigar experience of the Alec Bradley Magic Toast Robusto began with a straight cut. Once I removed the cap, it was time to commence the pre-light draw phase. 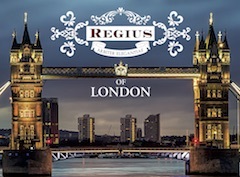 The cold draw delivered notes of coffee along with subtle notes of dried fruit and cedar. While this was a simple pre-light draw, it was a satisfying one. At this point, it was time to light up the Alec Bradley Magic Toast Robusto and see what the smoking phase would have in store. The smoke of the Alec Bradley Magic Toast Robusto started with a mix of coffee, earth, and a combination of red and white pepper. It didn’t take long for the coffee and earth notes to move into the forefront. These flavors were joined by a subtle Bing cherry sweetness that also surfaced in the forefront. During the first third, the earth, coffee, and cherry notes alternated in intensity. Meanwhile, the white pepper notes settled in the background on the tongue. Simultaneously, the retro-hale produced an additional layer of red and white pepper. 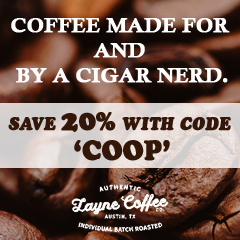 During the second third, the coffee notes took the edge over the Bing cherry and earth notes. Meanwhile, both the red and white pepper had a slight increase in intensity. While there was an increase, the spices still remained a secondary note. The last third saw the earth notes rejoin the coffee in the forefront. The Bing cherry notes receded into the background. As for the pepper, which had slightly increased in the second third, it leveled off. That is how the Alec Bradley Magic Toast Robusto came to a close. The resulting nub was firm to the touch and cool in temperature. The burn line of the Alec Bradley Magic Toast Robusto had some occasional jaggedness and curviness that did result in a few additional touch-ups above the norm. However, the Magic Toast Robusto had no problem keeping a straight burn path. The resulting ash had a classic salt and pepper color scheme to it. This was a firm ash that came off the cigar in clean chunks. The burn rate and burn temperature were both ideal. The draw to the Alec Bradley Magic Toast Robusto performed excellently. The draw had a touch of resistance, making it an ideal draw in my book. At the same time, there was a decent amount of smoke production that came from this cigar. In terms of strength and body, both attributes had enough intensity to be considered “medium to full”. There wasn’t much variance of the intensity throughout the smoking experience. In terms of strength versus body, both attributes balanced each other nicely with neither overshadowing the other. 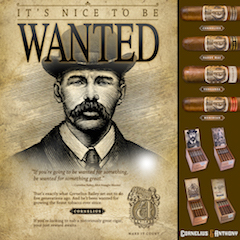 One thing that will be obvious about the Alec Bradley Magic Toast is that it is not a cigar that is going to go through a lot of radical flavor transitions. For the most part, the flavor profile is consistent, and that shouldn’t be considered a negative because it is an excellent one. 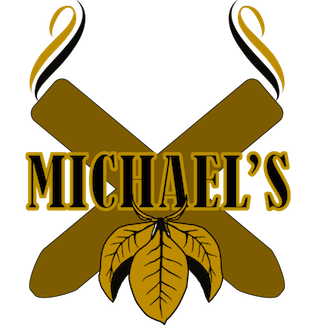 The cigar uses a foundation of coffee and earthy notes and then balances it out with the sweetness from the Bing cherry and the spices from the pepper. The little extra strength and body that is put into the mix gives Alex Bradley a winner here. 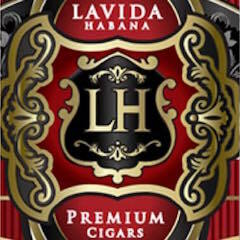 This is a cigar I’d recommend to an experienced cigar enthusiast or a novice enthusiast looking for something medium plus. 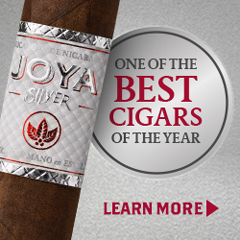 As for myself, this is a cigar that I would smoke again – and it garners box worthy consideration.